Once again tension over disputed island and territories in the South China Sea is the focus for Asia-Pacific nations to re-evaluate their maritime surveillance capabilities, many of which are island nations with extensive coastal water to patrol and protect. Few can afford to develop or acquire fleets of new-generation Maritime Patrols aircraft (MPA), such as the Boeing P-8A/I Poseidon MPA, apart from Australia and India, so the MPA of choice in the region is the Lockheed Martin P-3 Orion family MPA which is operated by no less than seven countries. Taking its name from the huntsman of Zeus, the king of the Greek deities, the Orion first flew in 1958. The four-turboprop powered long-range P-3 series, which resulted in several variants, a list of which would be constrained by available space, was developed from Lockheed L-188 Electra civil airliner, and has proved a resilient and adaptable maritime platform with an excellent safety record. 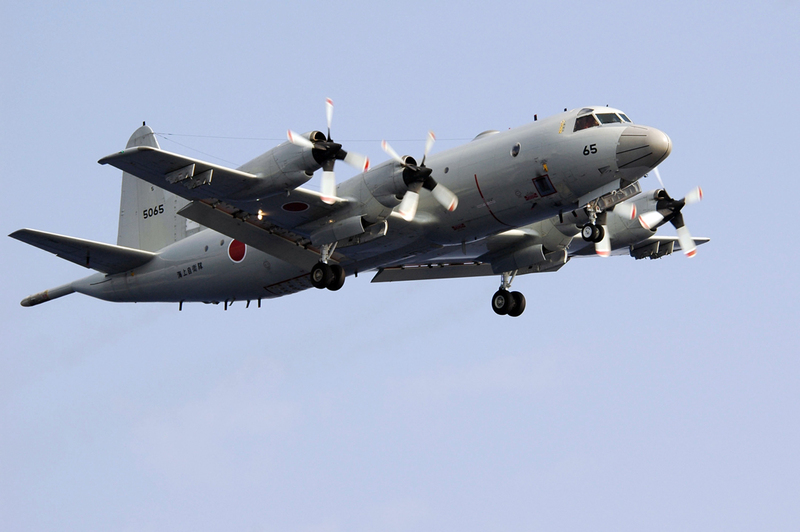 More than 100 Kawasaki-assembled P-3CIII Orion MPAs were delivered to the Japan Maritime Self-Defence Force making the service one of the biggest operators of the aircraft globally. The Japan Maritime Self-Defence Force (JMSDF) has the largest MPA fleet in the region the core of which is the P-3C Orion. Not only is the JMSDF P-3C fleet the largest in the region (73 airframes) it is also the newest following Japan’s decision in 1979 to build the P-3C under licence with the first Kawasaki Heavy Industries (KHI) assembled P-3C being delivered in March 1982. Kawasaki’s assembly line switched to the P-3CIII production standard in 1988 and by February 1995 more than 100 P-3Cs had been delivered to the JMSDF. In November 2001 KHI was selected to develop an indigenous design to meet the Japan Defence Agency (JDA) P-X requirement to replace the P-3C. The first four-jet Kawasaki P-1 prototype flew in September 2007 and after a protracted development programme the first of 65 aircraft on order was delivered to the JMSDF from March 2013. 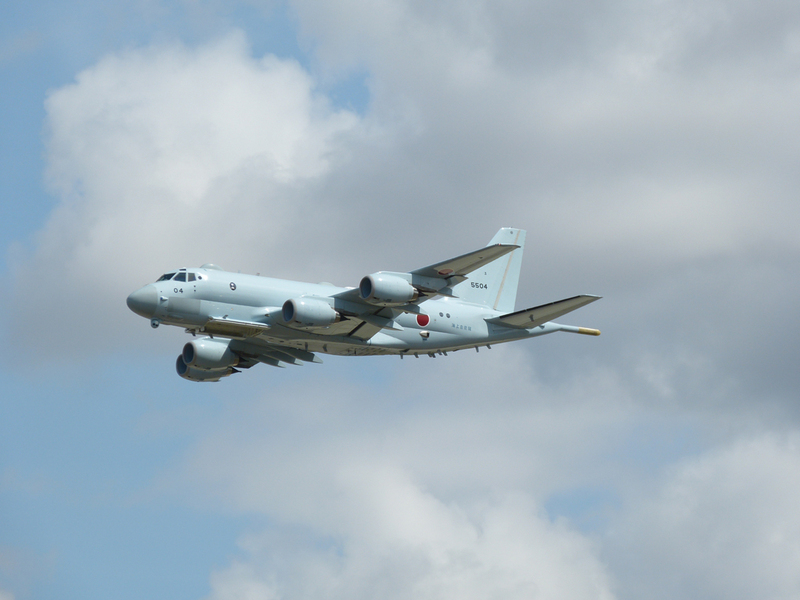 After Japan, the Royal Australian Air Force (RAAF) is the second largest P-3 family operator (15 aircraft) in the region. The first batch of ten P-3B Orion aircraft, which replaced the Lockheed P-2H Neptunes of 11squadron in 1968, was replaced by 20 AP-3C (the Australian designation for the P-3C) aircraft a decade later. A contract for the RAAF’s AIR 5276 project to replace the mission equipment onboard of 18 of the P-3Cs was signed in January 1995, and completed in 2004, outfitting the aircraft with new equipment racks, operator consoles and a FLIR Star Safire II optronics system. 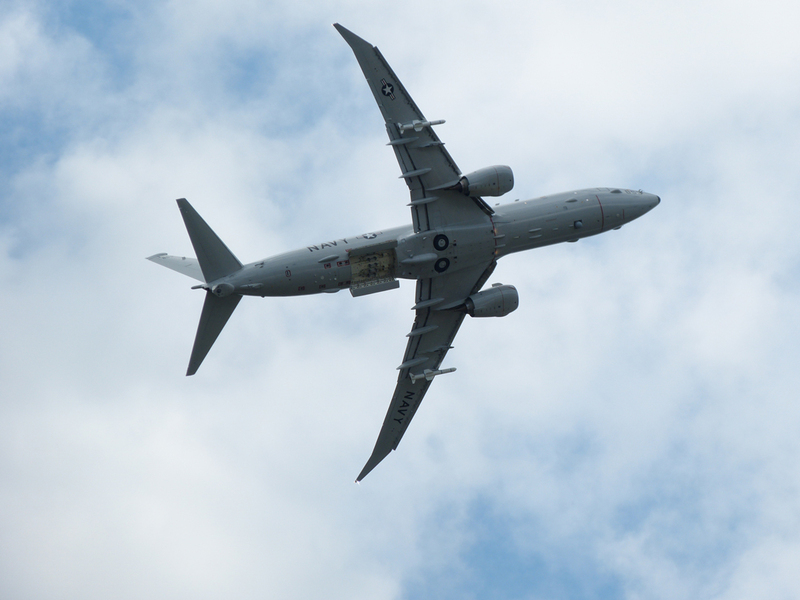 In February 2014, the Australian government announced the acquisition of eight P-8As under the AIR 7000 project and approved an option for a further four aircraft subject to the outcomes of future governmental defence spending reviews. The P-8A aircraft will replace the RAAF’s AP-3Cs, with the first aircraft to be delivered in 2017 and all eight aircraft to be fully operational by 2021. While not the largest P-3 operator in the region, the first regional operator was the Royal New Zealand Air Force (RNZAF) that received five P-3Bs in 1966 which were followed by the delivery of an ex-RAAF P-3B in 1985. Following an avionics and radio upgrade under the RNZAF’s Project RIGEL in the early 1980s, the P-3K designation was applied to all six aircraft in the fleet. In October 2004 L3 Communications’ integrated systems division was awarded a contract to upgrade all these aircraft. This will improve the P-3K’s mission systems, communications and navigation. All upgraded aircraft were returned to the RNZAF by August 2014, with a further software upgrade of the aircraft being performed in 2015 with local media reports quoting total cost of the upgrade being $332.3 million. The upgraded aircraft are designated as the P-3K2. 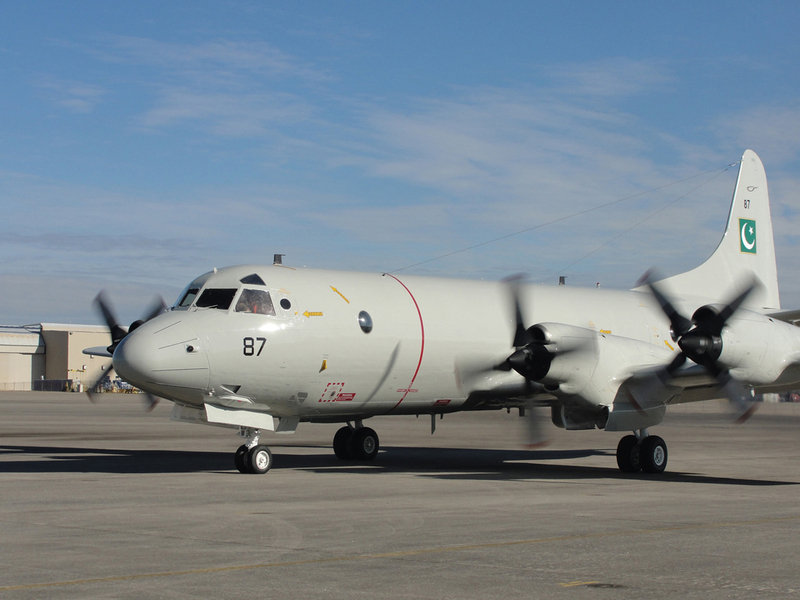 While the P-3K2s enable the New Zealand government to continue to offer a highly valued capability to international coalition operations (for example one P-3K2 deployed to the Middle East in July 2014 to assist anti-piracy operations there), they are scheduled for replacement in the mid-2020s. In September 1991, the Republic of Korea (RoK) ordered eight P-3CIII+ aircraft, the last to be built by Lockheed Martin. In addition the RoK Navy (RoKN) acquired eight ex-US Navy P-3B aircraft in 2005 for $496 million. These were delivered to the RoKN by 2010 after undergoing an extensive modernisation. In late 2004 Korean Aerospace Industries (KAI) was awarded a contract for a structural refurbishment of all eight P-3Bs and an upgrade to be performed by L3 Communications of a new maritime patrol radar, high-definition optronics and a magnetic anomaly detector, plus Rockwell Collins’ Flight2 avionics system. All eight P-3Bs, now designated P-3CK, will be delivered back to the RoKN by 2017. In May 2013 it was announced that the Defense Acquisition Programme Administration (DAPA), the RoK’s defence procurement organisation, was commencing an $889 million procurement programme to acquire up to 20 new MPAs to replace the existing fleet of 16 P-3C/CKs to strengthen its surveillance capabilities against the maritime activities of its rival Democratic People’s Republic of Korea. While possible candidates include the Airbus C-295 MPA, the Lockheed Martin SC-130J Sea Hercules and the Boeing P-8A Poseidon. DAPA is also considering an interim plan to procure twelve ex-US Navy Lockheed Martin S-3B Viking anti-submarine/maritime surveillance aircraft for the RoKN, according to media reports. The Republic of China Air Force (RoCAF) obtained twelve P-3C aircraft under a US government $1.9 billion Foreign Military Sales (FMS) programme in 2007 at a reported cost of $80 million each. Upgraded prior to their delivery to Taiwan, the aircraft were completely overhauled and modernised by Lockheed Martin. Upgrades included new avionics and service life extension kits to extend the aircrafts’ life for an additional 15000 flight hours. Mission system upgrades include the installation of electronic support measures to determine the Radio Frequency (RF) electronic order-of-battle in the aircraft’s locale, new acoustic detectors, improved communications and new optronics, data management software and hardware, controls, displays and mission computers. The first modernised RoCAF P-3C was delivered in August 2013. These P-3Cs are replacing the eleven surviving RoCAF Northrop Grumman S-2Ts Anti-Submarine Warfare (ASW) aircraft. The Pakistan Navy operates a diverse fleet of MPAs that includes three P-3Cs which were ordered in 1988 and delivered between 1996 and 1997; one of which was lost in a crash in October 1999. In late 2004, the Portuguese aircraft refitter OGMA was chosen by Lockheed Martin to restore and refit the Pakistan Navy’s two remaining aircraft to the P-3C Update-II.5 (P-3CUP) level re-entering service in September 2006. Seven ex-USN P-3Cs were rebuilt to P-3CUP standard and were ordered in 2005 through the FMS programme, being delivered between 2007 and 2012. Nonetheless an insurgent attack on the Mehran naval base in Karachi in 2011 destroyed two of the P-3CUP Orion aircraft after which the United States agreed to replace them at a later date. The United States Navy is beginning the withdrawal of more than 100 P-3 family aircraft from its inventory as deliveries of the P-8A ramp up. As an alternative, Lockheed Martin is offering a certified P-3 Mid-Life Upgrade (MLU) programme. The latter could provide other Asia-Pacific countries looking for an arguably more affordable long-range MPA. The P-3 MLU programme consists of a life extension kit which can provide the aircraft with an additional 15000 flight hours. Following the decision of the administration of President Barack Obama to lift its arms embargo on Vietnam earlier this year, the country is expected to request formal pricing and availability data on four to six refurbished ex-US Navy P-3C Orion aircraft in the next few months although such a request would have to be reviewed US government, according to Lockheed officials. 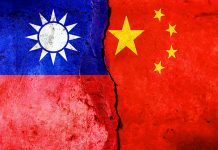 Vietnam, which borders the PRC, is now a key part of Mr. Obama’s efforts to rebalance US strategy toward the Asia-Pacific amid worries regarding Beijing’s assertiveness and sovereignty claims in the East and South China Seas. Currently Vietnam has a small fleet of Viking Twin Otter Series-400s and three Airbus C212-400MPs MPAs assigned to the Vietnam Marine Police, while the two or four (sources differ) Soviet-era Beriev Be-12 amphibious aircraft operated by the Vietnam People’s Air Force are unlikely to be airworthy. With an archipelago comprising over 7000 islands, some of which are claimed by the PRC, the Philippines has no long-range MPA capability. In 2014, the Philippines government announced plans to acquire two long-range MPAs and companies reported to have responded to these plans include Leonardo/Alenia Aermacchi, Airbus and Israel Aerospace Industries. In May 2015, the Philippines expressed interest in acquiring a number of P-3Cs from Japan (see above), and in February 2016 the Philippines and Japanese governments signed an agreement to allow Japan to transfer defence equipment to the Philippines. However, the time and complexity of acquiring the Japanese aircraft may force the Philippines government to look at other options including ex-US Navy P-3Cs hence the interest in the offerings discussed above. Likewise, Indonesia’s archipelago comprises circa 17000 islands meaning that maritime surveillance and protection should be of paramount importance. However the roles are shared by the Tentara Nasional Indonesia-Angkatan Laut (TNI-AL) Airbus/CASA CN-212-200 and Airbus/CASA CN-235-200 MPAs, and Tentara Nasional Indonesia-Angkatan Udara (Indonesian Air Force) CN-235-220 and three Boeing 737-2X9 Surveiller aircraft. Indonesia is the only nation to operate the 737-2X9 Surveiller equipped with a Motorola side-looking airborne multi-mission radar (SLAMMR) capable of seeing small craft in heavy sea from a distance of 115 nautical miles/nm (212 kilometres/km). Having been in service for more than thirty years, their logical replacement would be the P-8A Poseidon. 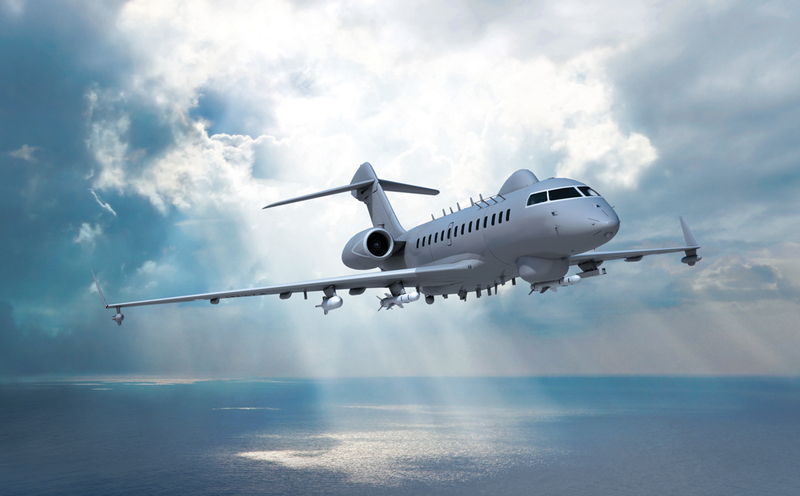 The Japan Coast Guard (JCG) has become the first customer for the Dassault Falcon 2000 Maritime Surveillance Aircraft (MSA) based on the firm’s Falcon-2000LXS business jet, ordering the platform in April 2015. With a range of 4000nm (7408km), L-3 Communications will integrate Thales’ Amascos mission system onboard the JCG aircraft and the type has been evaluated for the Indian Navy’s existential Medium Range Maritime Reconnaissance (MRMR) requirement. 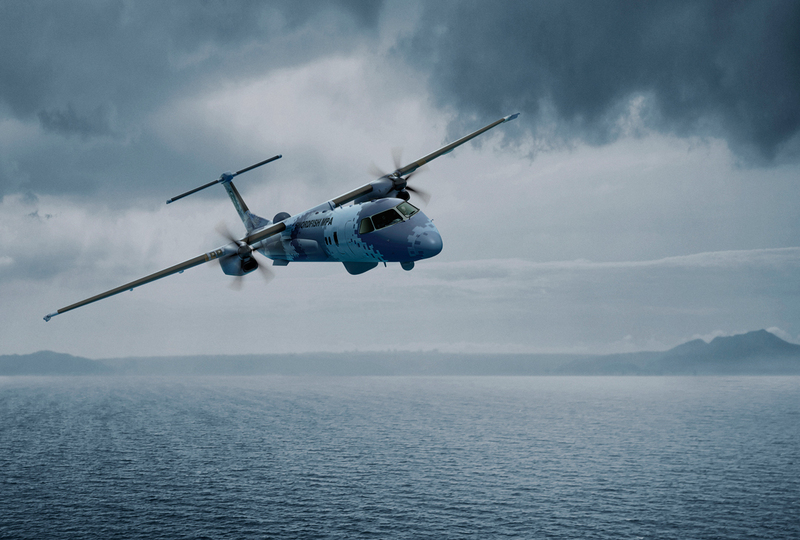 Both the Q400 and Global 6000 will be equipped with a Leonardo/Selex 7500 Seaspray maritime patrol radar and optronics, with the Global 6000 capable of carrying under-wing lightweight torpedoes and pods for SAR equipment. 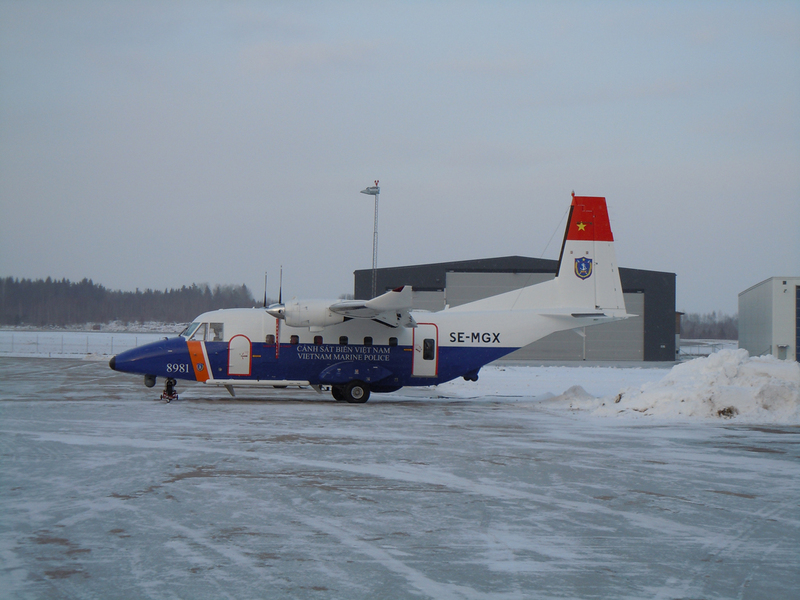 The aircraft can patrol for 8.5 hours. Both IAI and Saab are targeting Republic of Singapore Air Force’s ageing Fokker F-50 Enforcers fleet replacement, while due to its close relations with Thailand, Saab is confident that the Swordfish could be adopted as the Royal Thai Navy’s principal MPA. However, with the country discussing greater defence co-operation with Japan, it has expressed an interest in acquiring the P-1 (see above).